Many people deal with anxiety, but usually it only occurs when there is a stressful situation and then goes away when the situation is over. For those who suffer from an anxiety disorder, however, the anxiety doesn’t only occur when there is a stressful situation, and it doesn’t go away as easily. This disorder can cause problems with work and school performance, relationships, and day to day activities. Nearly 20% of adults in the United States struggle with an anxiety disorder. There are more cases that have never been diagnosed, leaving people to suffer on their own without anxiety treatment. This isn’t necessary, however, as there are many treatment methods to try. There are different types of anxiety disorders including generalized anxiety disorder, panic disorder, and phobia-related disorders. While there are treatments for all types of anxiety disorders, sometimes the treatment doesn’t work. Luckily, there are some things to try if other treatment options don’t help. Call a close friend or family member and tell them that you are struggling. Spend time with that person, and allow them to help you just by being present. Being surrounded by those that you love will help you recognize your support system and get through the anxiety a little easier. When you feel that anxiety attack coming on or when you feel your heartbeat getting faster, remember to take a few deep breaths. Deep breathing is a method of anxiety treatment because it can lower blood pressure and heart rate to a more normal rate. In turn, the anxiety is normally eased. Focusing on breathing also allows the brain to think of something other than the current worry or anxiety trigger. Shifting the focus of the mind can ultimately end an anxiety attack, or prevent one from happening. Grounding involves making direct contact with the earth through any of the five senses. 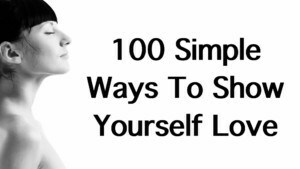 An easy way to do this is simply by walking barefoot outside. Grounding is said to ease the symptoms of anxiety disorders. Touching the ground with your feet or hands or smelling and seeing grass or flowers are all ways to make contact with the earth. You could take a camping trip and sleep on the ground to really delve into grounding. Through meditation, a person can remember to focus on what is going on at the moment instead of the worries running through their mind. After practicing meditation for a while, it becomes such a normal part of the routine that it can be done anytime, during any situation. During yoga, muscles tension is eased, which can calm the mind. Yoga also encourages blood flow throughout the entire body, regulating blood pressure and heart rate. The calming of the mind and the regulating of the blood pressure and heart rate all lead to a decrease in feelings of anxiety. Caffeine can cause blood pressure and heart rate to rise, which could cause anxiety. Caffeine also makes the symptoms of anxiety worse. Too much caffeine could lead to an anxiety attack. While alcohol is commonly thought of as being something a person could use to relax, it can actually do the opposite in someone with an anxiety disorder. Alcohol could make the anxiety worse, and the increased anxiety usually continues the day after, as well. Alcohol is a depressant, so when the initial good feelings wear off, the anxious effects hit hard. A diet high in magnesium has been shown to make a person feel calmer. This essentially lowers anxiety for that person. Foods high in zinc also lower anxiety. Foods with B vitamins, such as avocados and almonds, are known to decrease anxiety levels, as well as foods rich in probiotics, such as pickles. Asparagus has also been linked to a decrease in anxiety. Additionally, eating processed foods can make anxiety worse by releasing anxiety-inducing chemicals into the body. Processed foods often lack the necessary nutrients, as well, so the body is not operating properly. There are a few reasons why writing in a journal can help a person deal with their anxiety. First, getting the spiraling thoughts out on paper or on a screen feels good. Also, the soothing repetition of writing words on paper can help ease the anxious thoughts. Writing in a journal also gives you the option to go back and read what you wrote at a later time. Sometimes this can help you understand your thought process during an anxious time. You may be able to sort the thoughts and think of a way to make the anxiety a little less in the future. Keeping a journal or notebook with you at all times can allow you to use this method anywhere and at any time. Whenever you feel your anxiety rising, you could pull out your journal and begin writing. Creative activities allow for a positive outlet for any kind of worry, stress, or anxious moment. Letting those feelings come out in a positive way can lessen the symptoms of anxiety quickly. Another reason that doing something creative helps a person deal with anxiety is that it distracts the mind. Focusing on something other than the anxiety can make it easier to deal with and get past. Activities that allow for creativity also have a way of calming a person, allowing their blood pressure and heart rate to slow down. Calming music, such as classical music, can relax both minds and bodies. This kind of calming music has been found to slow the heart rate, blood pressure, and pulse rate when it has become too high. All of these things help relieve anxiety. Calming music is also distracting to the mind, so it allows the brain to focus on something other than the anxiety and worrisome thoughts. By focusing on the music, a person’s anxiety can be greatly relieved or lessened. Exercise releases neurotransmitters, endorphins, and endocannabinoids into the body, which are known to make a person feel good. It also lessens the amount of stress-inducing chemicals that are being released. Like many other methods of treating anxiety, exercise also distracts the mind. Focusing on exercising can stop a person from thinking about what is making them anxious. This may be easier said than done. If the anxiety triggers are known, some of them are easy to avoid. If this is the case, it is best to stay away from the trigger, whether it be a person, an animal, or an object. When there is an anxiety trigger that you can’t avoid, see what can be done to fix the problem. This may allow you to avoid the trigger next time. When you are thinking of the worst case scenario, remind yourself that the worst case doesn’t usually happen. Remind yourself that, for the most part, things work out in a positive way. Sometimes the reminder that the negative thinking is just the anxiety talking will help ease the anxiety a bit and force the mind to begin thinking differently. It can be difficult to begin this more positive way of thinking, but if you are able to recognize that it is an issue, you should be able to remind yourself while it is happening. Take time to love yourself. This could be spending a day pampering yourself, or a day reading a book while curled up under a comfortable blanket. You could take a bubble bath or a long, hot shower. You could spend time watching your favorite TV show or playing your favorite game. Sometimes self love means just sleeping in late and staying in your pajamas longer than usual. Just spend time doing something that you love or that makes you feel good. This simple method can quickly reduce the feelings of anxiety. Sometimes, medications can seem a bit scary for an anxiety treatment. 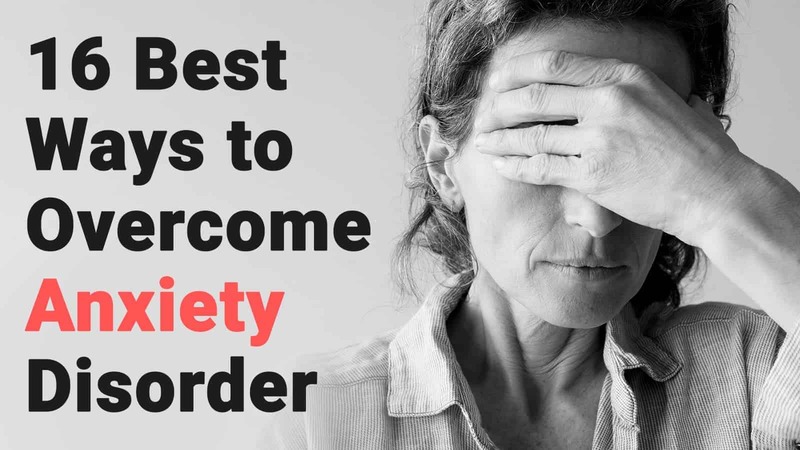 These medications are completely safe and common, however, and can really help a person deal with the stresses, fears, and other anxieties that plague their thoughts. When nothing else will help, anti-anxiety medications may be the way to go. A person who suffers from anxiety disorder usually has no control over their anxiety and worrisome thoughts. There are many different things that can trigger anxiety, and some triggers may be specific to only one person. If you are finding yourself in that position and no other anxiety treatment is making it any easier, you might consider trying some of the methods discussed above. The most important thing to do, however, is to try and figure out what works best for you. Different things will work for different people, so you can’t get discouraged when one method doesn’t work. By distracting your mind and changing your thought process, taking time to do something you love, or spending time with someone you love, you can allow yourself to feel better. All of these things could help with your anxiety treatment, and make the anxiety disorder a little easier to handle.